In 1881, the year following the proclamation of a goldfield, R McCarthy and S O’Rourke conducted a Catholic School on the present site of the Sacred Heart Church. In 1885, J.J. Hogan was the Headmaster, and the Sisters of St Joseph arrived in 1887 to take over the school. The Sisters taught in the school continually until 2002, and even today they retain a significant role here. 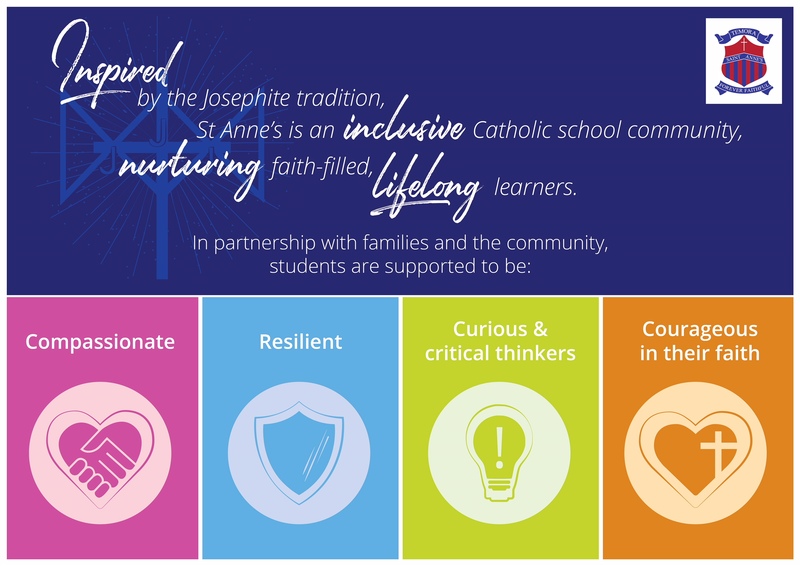 St Anne’s is proud of its dynamic Community Council. Its generous members work with the school on fundraising events and policy decisions. The Community Council meets on the second Tuesday of the month and has Open Forums twice per year. The school canteen is open on Mondays and Fridays and ordering is done online through the Qkr app.